Shopping for holiday gifts doesn’t have to be stressful this year. With a charming downtown filled with boutiques, Surfside has something for everyone on your list. Need the perfect item for your fashion-forward friend who seemingly has everything? Have no clue what to gift your older brother or sister? Surfside has it all and then some! Keep reading to discover 7 great holiday gifts, only available in Surfside! Looking to pamper someone you love this holiday season? The Spa at Four Seasons Hotel at The Surf Club is the perfect place to show someone that you really care. The luxurious spa has a menu of services that includes deep-tissue massages and facials and has amenities such as private Spa Cabanas well as a steam shower and Hammam – all with views of the ocean. We can guarantee this will win you high marks from any recipient. Le Beau Maroc is a women’s fashion boutique in Surfside with a collection of Moroccan apparel and accessories. 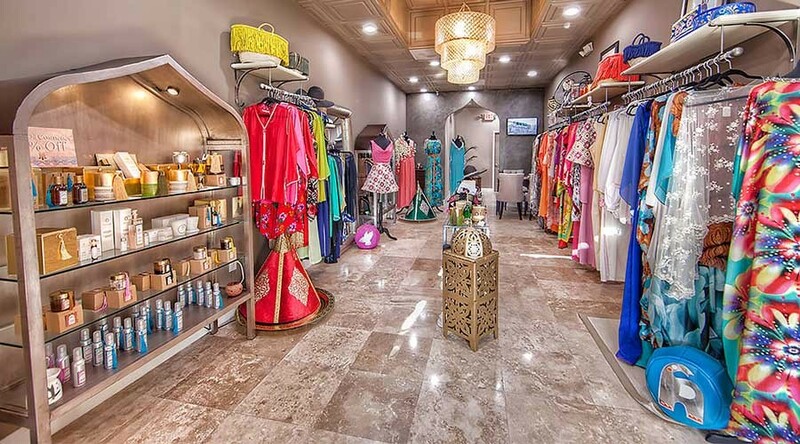 Famous for its collection of couture caftans, this retailer features native Moroccan caftans with European fabrics and sleek silks, which can be found in the closets of Miami’s chicest women. Giving one of Le Beau Maroc’s caftans is truly one-of-a-kind, as each caftan is bespoke. For a less extravagant gift, the boutique also carries its own label of argan oil, the beauty product heralded as many celebrity’s secret to lasting beauty. For the person on your list who is interested in learning more about Dominican tobacco and the cigar rolling process, Liborio Cigar & Tobacco Shop is the place! 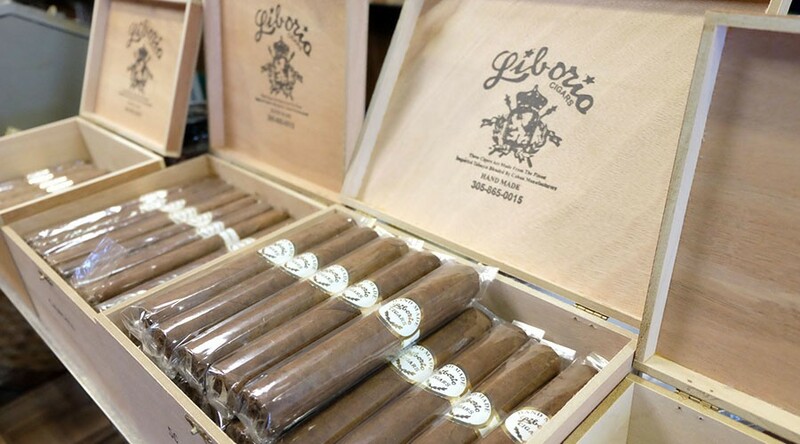 Named the best Cigar Shop and Cigar Bar in by Local10, Liborio’s private label, premium quality hand-rolled cigars make unique gifts. For a truly sweet gift, macarons from Gourmet Temptations are a must. The pastry shop brings the essence of Paris to Miami with an offering of lavish desserts using imported French ingredients and techniques. We recommend purchasing a mixed 12-pack of macarons – try the black currant and caramel flavors. And, the beautiful packaging makes it an easy last-minute gift, no wrapping required! 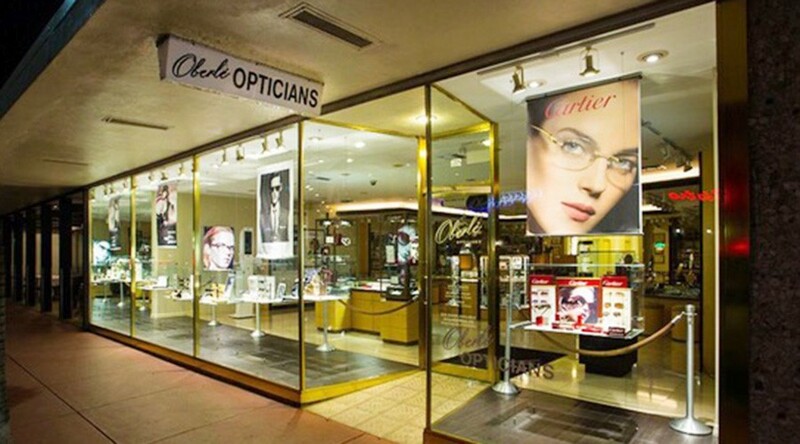 The place to go for the fashion lover on your list is Oberle Opticians. Surfside’s retailer of luxury eyewear has an amazing array of chic shades at a variety of prices and includes boutique brands not often found in the US. If you can’t decide what pair will be the best gift, the staff at this family-run, Surfside business is happy to help you make the right choice. Looking for the perfect gift for the stylish man or men in your life? Condotti offers a wide selection of unique, Italian-made silk ties and accessories that make for elevated stocking stuffers. From handkerchiefs to shoes, and custom shirts and suits, Condotti offers all the items you need for that trend setting man in your life. For that special someone, Gray & Sons is the best place in Surfside to find a forever gift. A 25 year Surfside local, the full-service showroom features a range of pre-owned/vintage fine jewelry and timepieces in a refined space. If you’re looking for a sparkler or a collector’s timepiece, Gray & Sons and their expert staff can you help you find just what you are looking for. Whether your gift list this year includes delicious treats from Gourmet Temptations or stylish goods from one of Surfside’s one-of-a-kind boutiques, we’re sure that your holiday season will be filled with delight! Want to learn more about shopping in Surfside? View our visitors guide or read more about Surfside on our blog. You can also learn more about Surfside by signing up for our newsletter to stay tuned for news and happenings in town.